There are currently 0 users and 18 guests online. 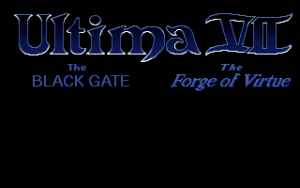 Ultima VIIBy request, this week's Matt Chat covers Ultima VII: The Black Gate. Ultima VII is a masterpiece of the early 90s, with tremendous scope and important innovations that would influence many later games. It's definitely not hard to see this game's influence on later hits such as Diablo (1997) and Baldur's Gate (1998).